WE ARE NOT A PHARMACY HOWEVER, WE TAKE YOUR PRIVACY SERIOUSLY !!! PLEASE take the time to read carefully and complete electronic signature at end of page. You will be unable to schedule an appointment with the Physician nor complete any transactions unless you have electronically signed the HIPPA form after reading. We will use and disclose your PHI to carry out the healthcare related activities as necessary or required, and especially to monitor and improve the quality of the health care, products, and services that are provided to you by us and other health care professionals. Business associates: The health care system is very complex and as such we may not be able to provide health care products and services to you without the involvement of other businesses or persons. Depending on what these other businesses or persons do for us, they may become “business associates” as defined by HIPAA. In many situations it will be necessary for us to provide your PHI to these business associates so that they can carry out the activities that we need to have performed in order to provide you health care products and services. For patients that have health insurance that includes a pharmacy benefit, one of our most common business associates is a health insurance company, your Primary Care Physician, or a insurance benefits company that processes claims we may submit for payment for health care products and services on your behalf. We have written contracts with all of our business associates to whom we provide your PHI so that they can carry out their activities on our behalf. In an effort to provide you a level of comfort, you should know, these contracts require our business associates to give us their assurance that they, like us, will protect the privacy of your PHI. Communications with you concerning your health and treatment: We want to do whatever we can to assist you with maintaining your health and obtaining the most benefit from your treatment. 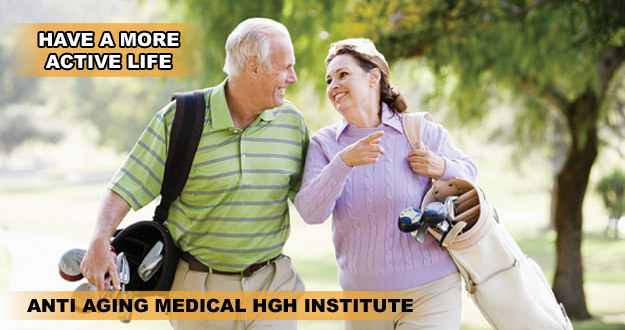 We routinely monitor your health care internally with the Medical Director at Anti-Aging Medical HGH Institute, your Primary Care Provider, prescription medications for appropriateness and take other steps to help you use your medication properly and make healthy life style changes. For example, if you forget to obtain a refill of your medication, we may contact you to remind you to obtain the refill. We may also call you or send you materials regarding products and services that we believe may be of benefit to you and your health. In the event that a pharmaceutical manufacturer or the Food and Drug Administration (FDA) is to issue a medication recall, we may contact you if you are taking the medication subject to the recall. Federal and state government agencies: We may disclose your PHI to federal and state government agencies for a variety of purposes, most of which are directed at monitoring health care quality and safety, government programs related to health care and our compliance with laws applicable to health care. For example, the United State Drug Enforcement Administration (DEA) monitors the distribution and use of controlled substances, while the FDA monitors adverse drug events. We may disclose your PHI to such agencies where required by the agency so that the agency can carry out its required activities. Related to this, some private businesses, such as the manufacturers of medications and medical devices, are legally required to conduct post marketing surveillance in order to ensure the safety of their products. Disclosing your PHI for such surveillance may be necessary. A number of state agencies also conduct health care quality and safety activities, for which we may disclose your PHI. For example, some states maintain a controlled substance monitoring program and require that we report to the state the prescriptions for controlled substances that we dispense to you. Federal and state government health care insurance programs: If you apply for and receive benefits from federal and state health care programs, such as Medicare or Medicaid, your PHI may be disclosed to the agency granting these benefits. If you are employed by a business that is required to carry workers’ compensation insurance, and you are injured in such a way that the workers’ compensation plan covers your health care, it may be necessary to disclose you PHI to the workers’ compensation plan. Such plans have a right to conduct audits, inspections and investigations of our activities and your activities, and where required, we will disclose your PHI for these activities. Law enforcement activities: A number of federal, state and local government agencies are charged with enforcing the health care and drug laws, and other laws in relations to the health care products and services that we may provide to you. In addition, as a state licensed pharmacy, a variety of federal, state and local health care agencies, such as the state board of pharmacy, regulate our activities. These agencies may engage in a number of activities designed to monitor and improve federal and state health care programs and systems, including conducting of inspections and investigations of our activities and the health care products and services that we provide to our patients. At any time we are required by federal or state laws, or by court order, subpoena of other legal mandate, to disclose your PHI we will do so as necessary. Disclosures for the benefit of you and others: Events can occur where we would use and disclosure your PHI for your benefit and to prevent or reduce the risk of harm to you. For example, if you are in a car accident and are unconscious in a hospital emergency room and the emergency room medical staff calls us with a request for your PHI, we may disclose it for the purpose of assisting in your prompt medical treatment. The same is true if a family member, friend or caregiver contacts us in an emergency situation, or where an emergency situation is not present, but we have reason to believe you are at risk of harm or serious injury and we believe that disclosing your PHI will assist them in caring for you. We may also disclose your PHI upon your death to a funeral director, embalmer, medical examiner or coroner’s office to assist them in carrying out their legal responsibilities related to your death. Finally, we may disclose your PHI where necessary to protect the health and safety of others. Disclosures for national security and intelligence: We are legally required to disclose your PHI when necessary to national security and intelligence and counter-intelligence activities. Any disclosure for these purposes would be made only to authorized government officials. Disclosures if you are in the military or a veteran: We may disclose your PHI, if you are a member of any branch of the armed services, whether on active or reserve status. If you are a veteran, we may release your PHI. Particularly if you are receiving health care products and services from the Veterans Services. Any disclosure for these purposes would be made only to authorized government officials. Disclosures of a miscellaneous nature: We may be required to disclose your PHI if you are placed into custody of a federal or state correctional system if necessary to protect the health and safety of you and others. 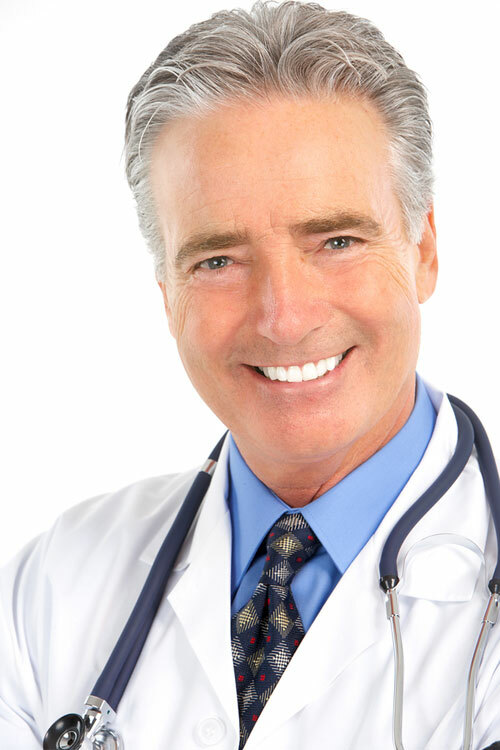 Health care is an area where much research is being conducted, and we may disclose your PHI for purposes of a research project, but only if we are satisfied that the research project has been approved by a responsible institutional review board and the research project has established adequate methods to protect your privacy. Much health care research is sponsored through organizations that conduct fundraising activities, and we may inquire with you using your PHI to determine your interest in participating in or otherwise supporting a fundraising activity. Finally, given the national need for organ donations, we may, with your written permission disclose your PHI to organizations that manage organ transplantation programs. HIPAA requires that we give you this “Notice of Privacy Practices” and make a good faith effort to obtain your written acknowledgement that you were given this notice. Upon giving you this Notice, you will be asked to sign a document acknowledging that you received this notice. We appreciate your cooperation in reviewing this notice and in giving us your written acknowledgment. HIPAA also requires that this Notice, at a minimum, cover the following three areas. – How we will use and disclose your personally identifiable health information. – Your rights with respect to your personally identifiable health information. – Our legal duties to protect the confidentiality of your personally identifiable health information. Thank you for allowing us the privilege of being your Anti-aging / Longevity choice, we look forward to providing you with high quality health care assessments, information, and products and services that will help to keep you healthy. The protection of your private information is very important to us. We will continue to make every effort to ensure your personal health information is protected. The Health Insurance Portability and Accountability Act (HIPAA) created national standards to further ensure this protection. As of April 14, 2003, all accredited retail pharmacies are required to provide you with this Notice of Privacy Policies. • For Treatment We may use your PHI to treat you. For example, if you are being treated for an injury, we may share your PHI with your primary physician so they can provide proper care. We may also use it to send you information about products or new services that we offer that may be of interest to you. • For Payment We may use and disclose your PHI to collect payment for products and services. For example, we may contact your third party payer (i.e. insurer) to determine whether your program will pay for your MD Visit / Consultation. For Health Care Operations We will use and disclose PHI to carry out health care operations. These activities include, but are not limited to, quality assessment activities, investigations, licensing, and conducting or arranging for other health care related activities. For example, we may use your information to monitor the performance of Physicians providing treatment to you. This information will be used in an effort to continually improve the quality and effectiveness of health care services we provide to our customers. • As Required by Law We will disclose your PHI when required to do so by local, state or federal law, including workers’ compensation laws. • Public Health and Safety Risks We may use and disclose your PHI to an authorized public health authority or individual to (1) protect public health and safety; (2) prevent or control disease, injury, or disability; (3) report vital statistics such as births or deaths; (4) investigate or track problems with prescription drugs, foods, supplements and other health products; (5) post marketing surveillance to enable product recalls, repairs or replacements; and (6) to government entities authorized to receive reports regarding abuse, neglect, or domestic violence. • Oversight Agencies We may use and disclose your PHI to health oversight agencies for certain activities such as audits, investigations, inspections, and licensures. • Legal Proceedings We may disclose your PHI in the course of any legal proceeding in response to an order of a court or administrative agency and, in certain cases, in response to a subpoena, discovery request, or other lawful process. • Law Enforcement To law enforcement officials in limited circumstances for law enforcement purposes. For example, disclosures may be made to identify or locate a suspect, witness, or missing person; to report a crime; or to provide information concerning victims of crimes. • Military Activity and National Security To the military as required by military command authorities when the patient is a member of the armed forces; to authorized federal officials for intelligence, counterintelligence, and other national security activities authorized by law; and to authorized federal officials so they may provide protection to the president, other authorized persons, or foreign heads of state or conduct special investigations. • We may share your protected health information with our business associates, certain individuals or companies providing services for us or on our behalf. We require business associates to appropriately safeguard your protected health information. We may contact you to tell you about possible treatment alternatives, health related benefits or services. For example, your name and address may be used to send you a newsletter about the services we offer. We may also send you information about products or services we believe might benefit you. We may disclose information about you to a family member or friends, who is involved in your medical care or helps pay for your care. We may disclose your information to an entity assisting in disaster relief effort, notify a family member, or another person responsible for your care about your condition, status and location. For example, your PHI may be shared with a local or out-of-state compounding or retail Pharmacy to fulfill prescription medicine orders. 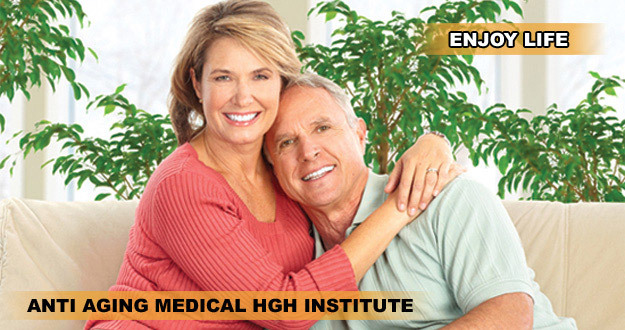 HIPAA requires us to enter into Business Associate contracts to safeguard your PHI as required by Anti-aging Medical HGH Institute and by law. Except as described in this Notice or as permitted by law, we will obtain your written authorization before using or disclosing PHI about you. You may revoke an authorization in writing at any time. Forms for making revocations are available by calling our customer service phone number and may be submitted electronically or mailed to: Anti Aging Medical HGH Institute, 2800 W. State Rd 84, Suite 118, Fort Lauderdale, FL 33312. Upon receipt of the written revocation, we will stop using or disclosing your PHI, except to the extent that we have already taken action in reliance on the authorization. • You have the right to request that we restrict how your PHI is used or disclosed in carrying out treatment, payment, or health care operations. We are not required to agree to the requested restrictions, but will accommodate reasonable requests. If we do agree to the requested restrictions, that agreement will be binding on us. If we agree, we will comply with your request unless the information is needed to provide your emergency treatment. You may revoke a previously agreed upon restriction, at any time, in writing. records that may be used to make decisions about your health care. We may charge a reasonable fee for the costs of copying, mailing, or other supplies that are necessary to grant your request. In certain situations we may deny your request and will tell you why we are denying it. In some cases you may have the right to ask for a review of our denial. • If you feel that the PHI we maintain about you is incomplete or incorrect, you may request that we amend it. You may request an amendment for as long as we maintain the PHI. You must include a reason that supports your request. In certain cases, we may deny the request. If the request for amendment is denied, you have the right to file a statement of disagreement with the decision, and we may give a rebuttal to your statement. We will include a copy of both statements in your file. • You have the right to receive an accounting of disclosures of your PHI that we have made after February 01, 2010 for purposes other than (1) for Anti-Aging Medical HGH Institute treatment plan, payment, or health care operations, (2) to you or based upon your authorization and (3) for certain government functions. The right to receive an accounting is subject to certain other exceptions, restrictions, and limitations. The time period for the requested accounting must be specified and it may not be longer than six years. The first accounting you request within a 12-month period will be provided free of charge, but you may be charged for the cost of additional accountings within that period. We will notify you of the cost involved and you may choose to withdraw or modify the request at that time. • You have the right to request that our communications to you concerning your PHI be made by alternative means or to alternative locations. For example, you may wish us to communicate in some way other than calling your home telephone number. We will comply with a reasonable request for such an alternative. This Notice describes how we will treat your personal health information pursuant to the requirements of the Federal HIPAA privacy rules. State privacy laws may impose certain additional requirements. For a more complete description of state privacy issues, please go to the Notice posted at http://www.BuyPhentermineDirect.com/npp. If you have questions or would like additional information about our privacy practices, you may contact the Privacy Office by writing to: Privacy Dept.,_______________________________________________________________. If you believe your privacy rights have been violated, you can file a complaint with Anti-Aging Medical HGH Institute Privacy Dept or with the Secretary of Health and Human Services. 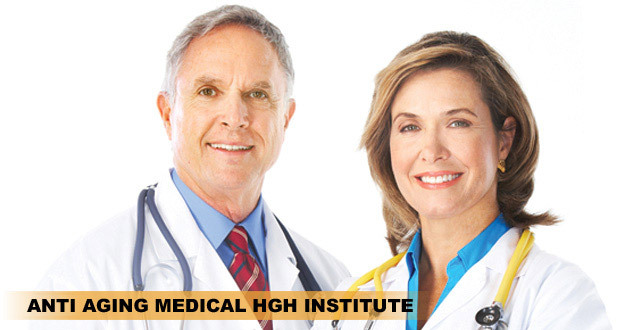 There will be no retaliation for filing a complaint and Anti-Aging Medical HGH Institute will maintain information in a manner consistent with company policies. ALABAMA We will not disclose your personal health records to anyone without your authorization, except where it is in your best interest or where the law requires the disclosure. ARIZONA We will not disclose any confidential communicable disease related information unless the subject of that information has authorized us in writing to do so or unless state or federal law authorizes or requires the disclosure. (k) for purposes of disease management programs and services, information may be disclosed to any entity contracting with a health care service plan or the health care service plan’s contractors to monitor or administer care of enrollees for a covered benefit, provided that the disease management services and care are authorized by a treating physician or to any disease management organization that complies fully with the physician authorization requirements, provided that the health care service plan or its contractor provides or has provided a description of the disease management services to a treating physician or to the health care service plan’s or contractor’s network of physicians. (f) any individual, corporation, partnership or other legal entity which has a written agreement with the pharmacy to access the pharmacy’s database provided the information accessed is limited to data which does not identify specific individuals. (e) in any civil or criminal proceeding, upon the issuance of a subpoena from a court of competent jurisdiction and proper notice to you or your legal representative, by the party seeking the records. (d) any law enforcement personnel duly authorized to receive such information. HAWAII We will not disclose any HIV/AIDS/ARC-related information, except in situations where the subject of the information has provided us with prior written consent allowing the release or where we are authorized or required by state or federal law to make the disclosure. IOWA We will not disclose any HIV/AIDS-related information, except in situations where the subject of the information has provided us with a written authorization allowing the release or where we are authorized or required by state or federal law to make the disclosure. (h) the authorized insurance benefit provider or health plan that provides your health care coverage or pharmacy benefits. INDIANA We will disclose your confidential information only when it is in your best interests, when the information is requested by the Board of Pharmacy or its representatives or by a law enforcement officer charged with the enforcement of laws pertaining to drugs or devices or the practice of pharmacy, or when disclosure is essential to our business operations. (g) a government agency that may be providing medical care to you, upon that agency’s written request for information. MAINE We will not disclose your health care information for fundraising purposes or to coroners or funeral directors, without your authorization. We will only disclose patient identifiable communicable disease information to Department of Human Services for adult or child protection purposes or to other public health officials, agents or agencies or to officials of a school where a child is enrolled, for public health purposes. In a public health emergency, as declared by the state health officer, we may also release your information to private health care providers and agencies for the purpose of preventing further disease transmission. (d) a person authorized by a court order. (g) any person duly authorized by a court order. (d) drug therapy information to your physician. (f) government agencies acting within the scope of their statutory authority. (c) a local health officer. (h) other registered pharmacists for the limited purpose of and to the extent necessary for the exchange of information regarding persons suspected of misusing prescriptions to obtain excessive amounts of drugs or failing to use a drug in conformity with the directions for its use, or taking a drug in combination with other drugs in a manner that could result in injury to that person. (h) if the disclosure is authorized or required by specific statute. (c) the law requires us to disclose the information. (h) as required by the provisions of the patient counseling regulations. NEW YORK We may not give a patient a copy of a prescription for a controlled substance, and for copies of other types of prescriptions, we must indicate that the copy is for informational purposes only. (k) the person who owns the pharmacy or his licensed agent. (c) as ordered or directed by a court. (i) in emergency situations, when it is in your best interest. OKLAHOMA We will not divulge the nature of your problems or ailments or any confidence you have entrusted to the pharmacist in his professional capacity, except in response to legal requirements or where its in your best interest. We will not disclose information which identifies any person who has or may have a communicable or venereal disease, unless authorized by the individual or as otherwise permitted under state law. Whenever possible, we will de-identify such information prior to disclosure. PENNSYLVANIA We will not disclose any HIV-related information, except in situations where the subject of the information has provided us with a written consent allowing the release or where we are authorized or required by state or federal law to make the disclosure. (g) to the foster parent or parents pertaining to the disclosure of health care records of children in the custody of the foster parent or parents; provided, that the foster parent or parents receive appropriate training and have ongoing availability of supervisory assistance in the use of sensitive information that may be the source of distress to these children. (m) information necessary in order for a health plan licensed by the South Carolina Department of Insurance to perform case management, utilization management, and disease management for individuals enrolled in the health plan, if the third party makes no other use or disclosure of the information. (e) a government agency charged with the responsibility of providing medical care for you upon written request by an authorized representative of the agency requesting the information. iii. prevent abuse or misuse of a drug or device and the diversion of controlled substances. (c) in response to a subpoena issued by a court of competent jurisdiction. We will not sell your name and address or other identifying information for any purpose. (e) an insurance carrier or other third party payor authorized by the patient to receive the information. iv. your personal representative, in the case of deceased patients. (g) To a person who obtains information for purposes of an audit, if that person agrees in writing to certain restrictions. (i) To provide directory information, unless the patient has instructed the health care provider not to make the disclosure. (e) to staff of the mental health facility where the individual is being cared for or to other health professionals involved in treatment of the individual, for treatment or internal review purposes. Information on this site is provided for informational purposes and is not meant to substitute for the advice provided by your own physician or other medical professional. You should not use the information contained herein for diagnosing or treating a health problem or disease, or prescribing any medication. You should read carefully all product packaging. If you have or suspect that you have a medical problem, promptly contact your health care provider. Information and statements regarding dietary supplements have not been evaluated by the Food and Drug Administration and are not intended to diagnose, treat, cure, or prevent any disease. Customer reviews are provided for informational purposes only. 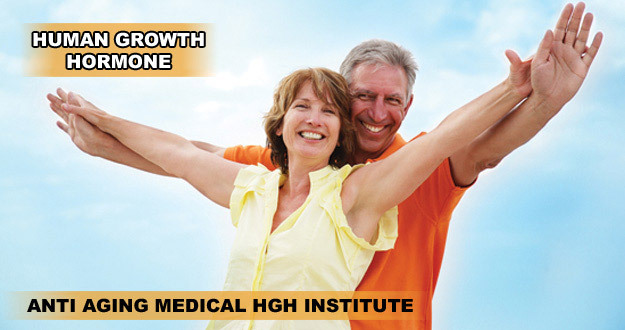 Customer reviews reflect the individual reviewer’s results and experiences only and are not verified or endorsed by Anti-Aging Medical HGH Institute. Actual results may vary among users.